What began as an American burger joint in London has become a worldwide collection of tourist destinations. From Las Vegas to Bali, Oslo to Johannesburg, Hard Rock’s giant neon guitar looms above the fray, a beacon signaling good ol’ American food and walls coated with rock 'n' roll memorabilia. 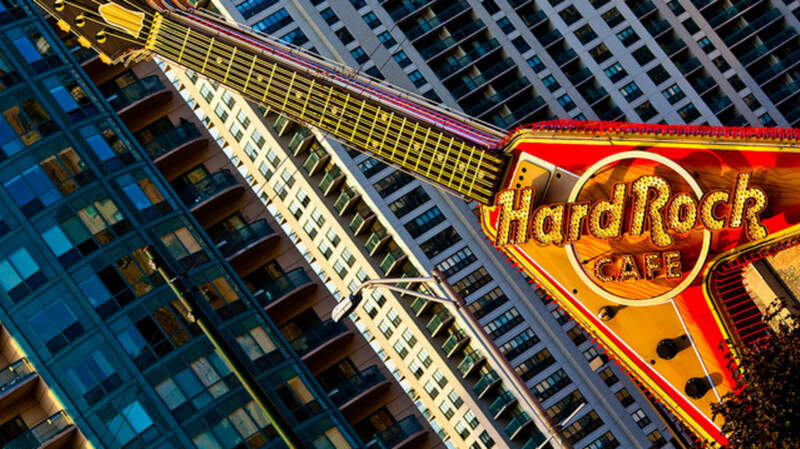 Like a seasoned band, Hard Rock has changed its tune a bit over the years, expanding into hotels, casinos, live music venues and all-inclusive resorts. And yet, much remains the same—like all those T-shirts, and the flair-loving wait staff. 1. It all started with two Americans in London. Back in early 1970s London, rock music and cutting-edge fashion were everywhere. Hamburgers? Not so much. So in 1971, Peter Morton and Isaac Tigrett decided to open an American-style diner with a name that tapped into the local zeitgeist. There were doubters—including the landlord, who only gave them a 6-month lease—but the Hard Rock Café quickly became a hit. 2. The founders come from business semi-royalty. These weren’t your average Joes. Morton was son of Morton’s Steakhouse president Arnie Morton, while Tigrett’s father made a fortune from—get this—holding the patent for the Glub-Glub plastic drinking ducks, which he’d purchased for $800 in the ‘50s. 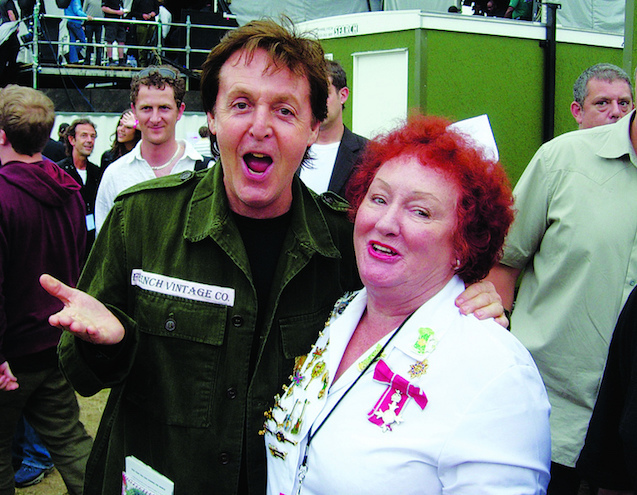 But in terms of rock connections, in 1976 Tigrett moved in with Maureen Starkey following her divorce from Ringo—yes, the Beatle—and they married 13 years later. Tigrett was noted as often calling her "my most authentic piece of rock and roll memorabilia." 3. The artist who created the logo is a legend. 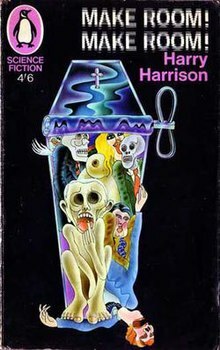 Alan Aldridge’s artwork appeared on album covers and sci-fi books throughout the ’60s and ‘70s, earning him a legacy as one of the most influential commercial artists of the 20th century. His style tended toward trippy, but for the Hard Rock Café logo he played it straight down the middle, honoring Morton’s request to model it after the Chevrolet logo. 4. The famous T-shirts were a happy accident. Morton and Tigrett sponsored a local soccer team in 1973 and gave the players uniforms emblazoned with the Hard Rock logo. Naturally, there were extras, so the restaurant gave them out to loyal customers, who wore them around town. Word spread, requests began to pour in, and eventually the restaurant had to set up a separate concession stand to handle T-shirt sales. 5. 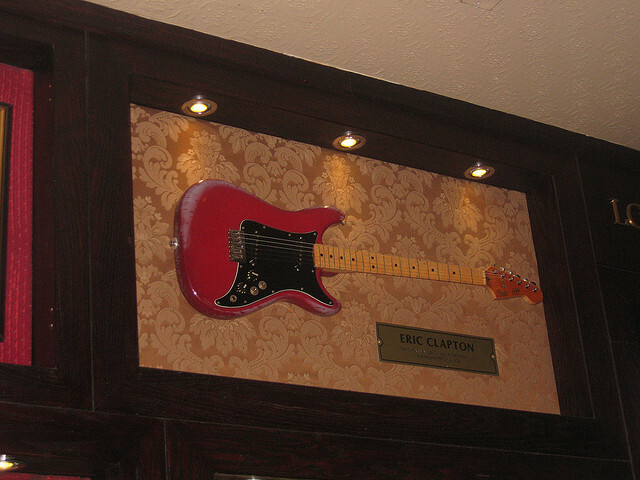 Eric Clapton was the first artist to contribute memorabilia. The story goes that Clapton wanted to give Tigrett one of his guitars as a gift. Tigrett told Clapton he didn’t play, so the former Cream front man said, “Why not put it on the wall?” A week later, another guitar arrived, this time from Pete Townshend. “Mine’s just as good as his!” the note that came with it read, and so a tradition was born. 6. They went on a memorabilia binge at an auction in ‘86. 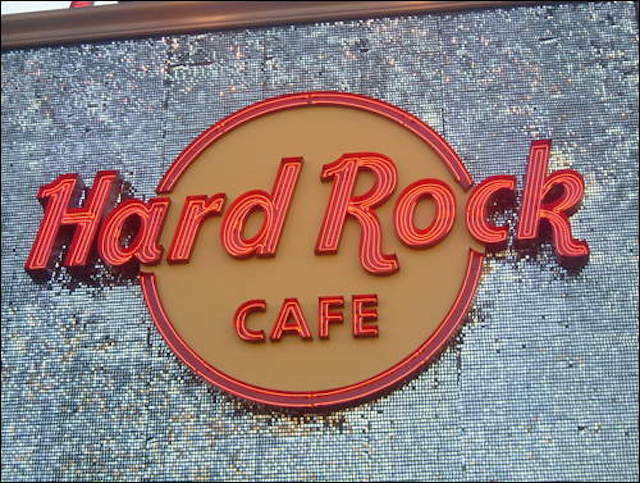 By this point, Hard Rock Café had established itself as a Mecca for rock collectibles. So the company did not hold back at a Sotheby’s auction in 1986. 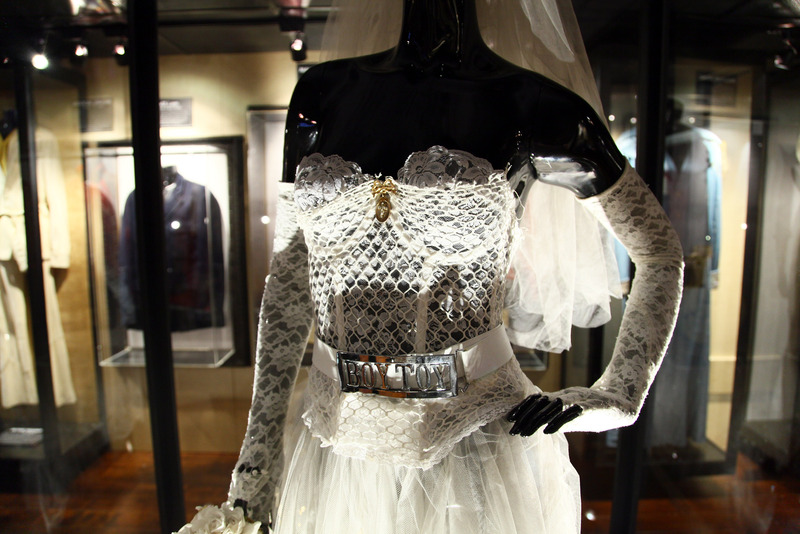 The haul included a pair of John Lennon’s glasses, Madonna’s dress from “Like a Virgin,” Michael Jackson’s red jacket from “Beat It” and Jimi Hendrix’s Flying V guitar. 7. The first live concert was Paul McCartney and Wings. 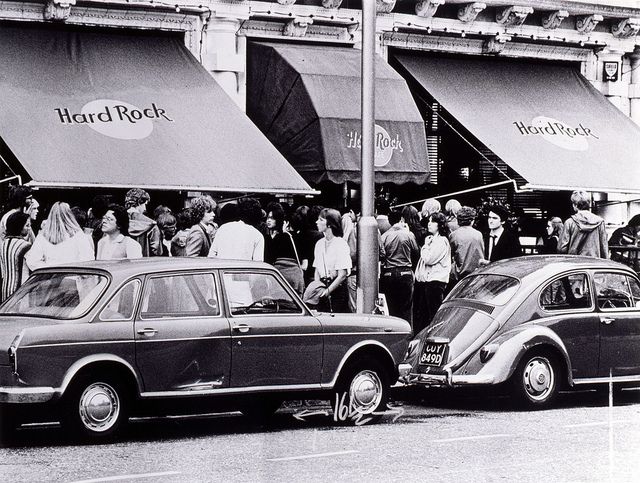 It was 1973 when Sir Paul and the band made an impromptu appearance at the Hard Rock Café — the first of what’s now 15,000 live performances Hard Rock venues host every year. 8. Carole King liked it so much, she wrote a song. 9. They’ve made a lot of pins. 44,000, to be exact. 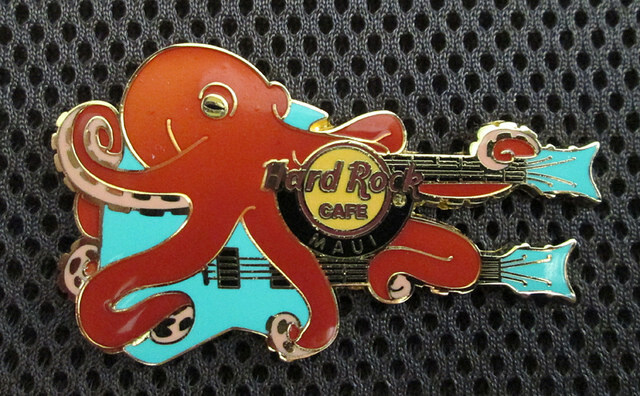 Since 1985, they've made everything from classic city-based guitar pins and ones commemorating various bands, to steampunk to Barbie and Hello Kitty. And one man has collected nearly 5,000 of them. 10. There’s a waitress who’s been on the payroll from the beginning. In her job interview in 1971, Rita Gilligan told Morton, ”I’m the best you’re gonna get, so you’d better hire me.” He gave her the job on the spot. Forty-five years and countless celebrity clientele later, Gilligan is officially retired but still appears at openings and promotional events. 11. 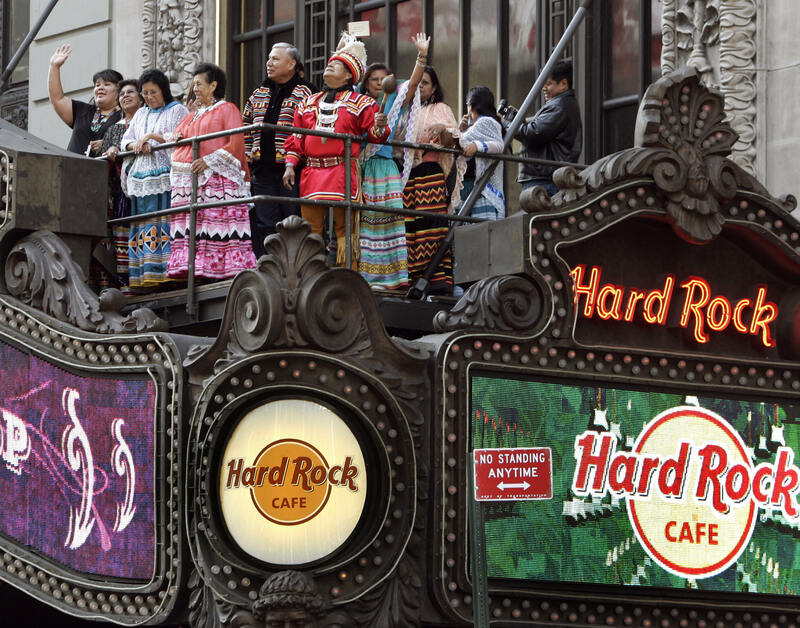 They’re now owned by the Seminole Tribe of Florida. In 2007, the Seminoles, who owned two Hard Rock casinos in Florida, went all in and bought the company in a deal worth nearly $1 billion. 12. Haven’t been there in a few years? You’re not alone. 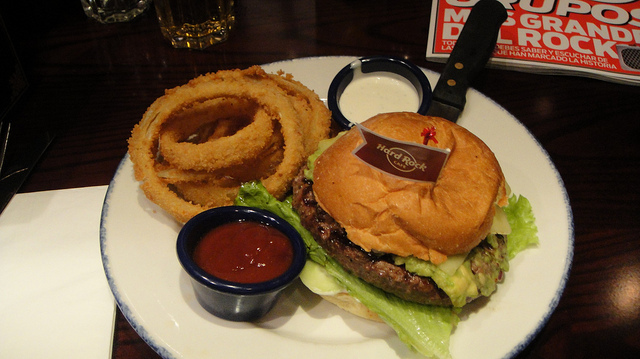 Hard Rock Café has a bit of a problem: It doesn’t attract regulars. The restaurant has always been a tourist destination, but even customers who could be relied upon to stop in while visiting grandma’s condo in Tampa have gone missing. “There’s a particular segment that we particularly want to reach out to that hasn’t really, for whatever reason, thought about us or experienced us in the last 10 or 15 years,” Fred Thimm, chief operating officer of cafe operations, told Bloomberg. ….but you have to sing for it. In front of the entire restaurant. Better start practicing at karaoke now—this is not the place to flub a verse in "Every Rose Has Its Thorn," especially if Bret Michaels might show up.